Last year was an exceptional one for eQ Homes. Not only did the company build 300 homes, making it the sixth largest in the city, it dominated in scooping up awards, including production builder of the year and best community. All of this for a builder that is not yet 10 years old. eQ vice-president Josh Kardish gives much of the credit to president Dave Wallace, whose roots are in the American home building industry and who joined the company in September 2015. “A huge part of where we are culturally and (our) emphasis on reinforcing our successes, that comes from David Wallace,” he says. “We have this weird thing in the Canadian home building world where people just don’t share information, they don’t share best practices… But the American system is completely different. They get together and they literally have hundreds of seminars and courses on what’s normal and what good looks like and what’s achievable. Wallace, in turn, credits eQ’s owner, Steve Gordon, who gave him the freedom to lead, and the talented team to execute his plan. “Where eQ is now is because it was entirely Steve Gordon’s vision,” he says. That vision, he says, was to build a company that would take advantage of the land holdings of its parent company (Regional Group), that would build quality homes, that would be involved in “legacy building” in Ottawa and that would get to a point of about 350 homes a year to put the company in the top five builders in Ottawa. Wallace also gives credit back to Kardish, who as eQ’s vice-president freed up Wallace to also take on the role of Regional’s chief operating officer. “He has basically hit it out of the park since he’s been here,” Wallace says. So, what awards did eQ win? 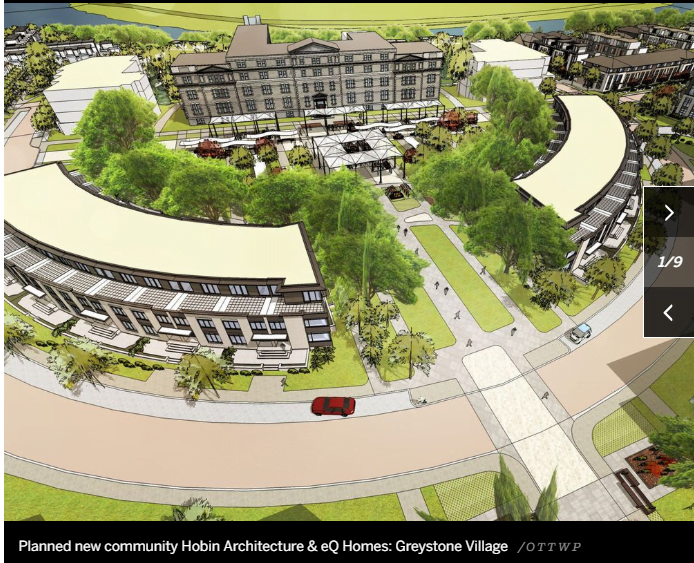 Planned new community: Shared with Hobin Architecture, this win recognized the original and unique community that Greystone is, Kardish says. “The fact that we transition appropriately between existing communities… that’s unusual. And then we consciously designed the community to ensure that there were two sidewalks on every single street and made significant investments to ensure that we could get a mature canopy across the community… all the streets are completely and totally tailored to the community.” He also points to the continuity in architecture, retention of the historic Deschâtelets building, the urban park, the respect for the river the community borders and that it’s designed to respect and fit in with the existing neighbourhood. Production home attached, 2,000 sq. ft. or less: This award went to the Atticus, one of eQ’s first two-storey townhome designs, which features a double-car garage. This model also won a month later at the SAM Awards. Grand SAM: Awarded to the builder with the most wins. Best community: It’s the third year in a row eQ has won this category. 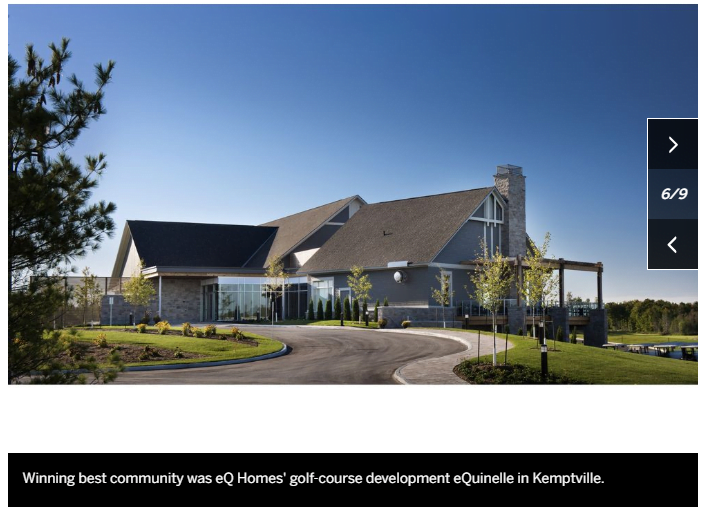 This time it was won by the company’s Kemptville project, eQuinelle, which also won in 2016. In 2017, Greystone Village won. Best condo project: River Terraces at Greystone Village. 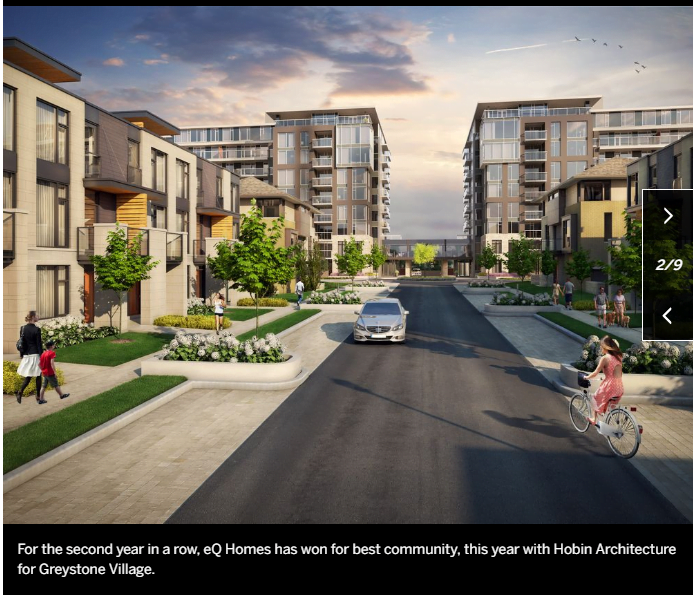 Best townhome model: For the Atticus, which also won at the Housing Design Awards. Best builder sales representative: Megan Van Rijt at Greystone Village. 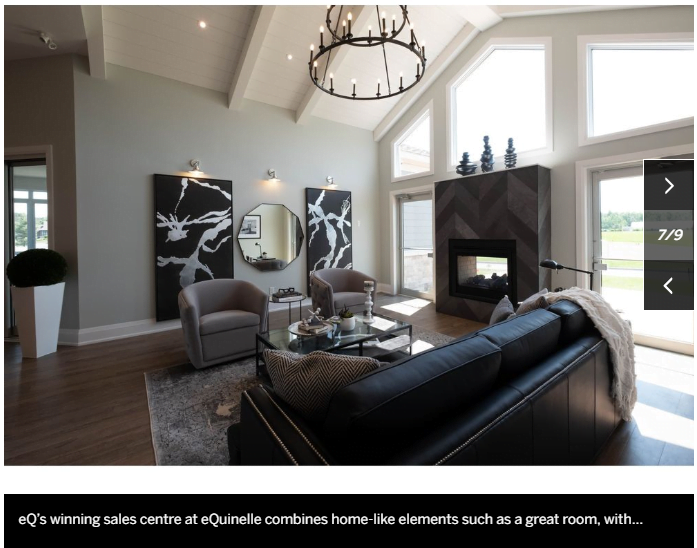 Best builder sales centre: for eQuinelle. Best builder design centre: This one was won with design firm West of Main. 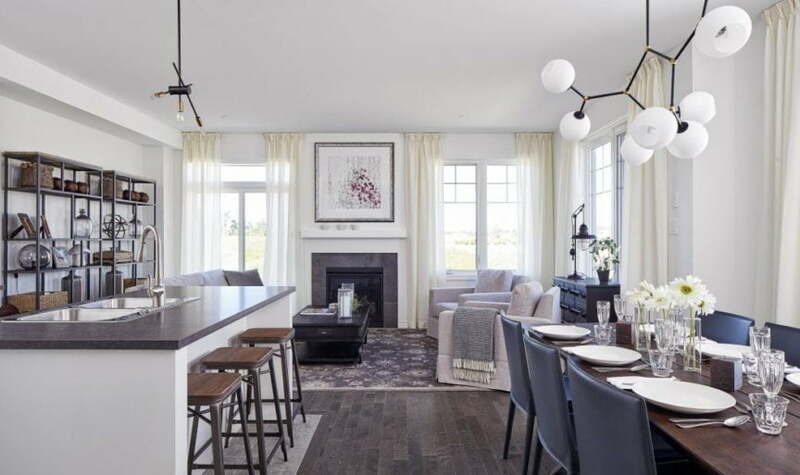 CHBA: eQ has also been named a finalist in three categories for the Canadian Home Builders’ Association Awards, which will be announced May 10. Nominated are its Rosewood condo unit (with West of Main), the eQuinelle sales office, and eQ’s design centre, again with West of Main. North American award: Last week, eQ won the 2019 Lee Evans award for management excellence. The award is given to one builder a year from among the members of Shinn Builder Partnerships and recognizes builders that have made significant progress in improving how they work to achieve superior profits, while delivering a high-quality product to buyers. “It’s a nice pat on the back,” says Wallace. Deloitte: Wallace is also proud of the role that eQ has played in parent company Regional Group achieving Deloitte’s best managed company status, which was announced this month. “eQ was a massive contributor to that,” he says. Deloitte says in a release that the Canada’s Best Managed Companies award program is one of the country’s leading business awards recognizing Canadian-owned and managed companies for innovative, world-class business practices, with hundreds of companies competing each year.